Sometimes it is necessary to add a fence to your composition. Using stock images can be time-consuming. This Photoshop brush will definitively help you, especially if you need a silhouette. 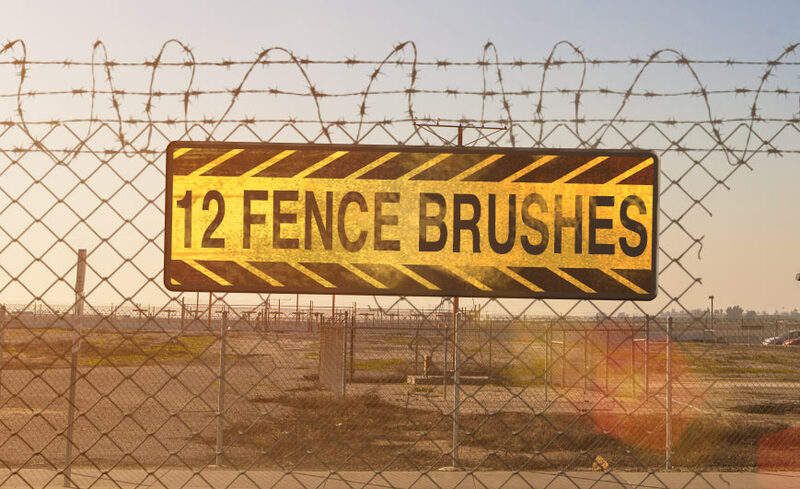 Choose between 12 unique cyclone fence and barbed wire brushes. An easy way to put up a fence. We also added different hole brushes, to make sure everyone can sneak in or out. Diese Seite ist immer wieder eine pure Freude! Immer wieder ein Erlebnis diese Seite und natürlich deine Arbeiten. Super, perfekt …. weiter so. Vielen Dank für die Möglichkeit, hier einige Pinsel und Texturen runterzuladen. Vielen Dank, die sind wirklich super!